The more I come to Japan, the more I understand the importance Japanese people give to PEACE. After going through events as hard and powerful as the Hiroshima and Nagasaki Atomic bomb, I think any country would take the word “Peace” very seriously. 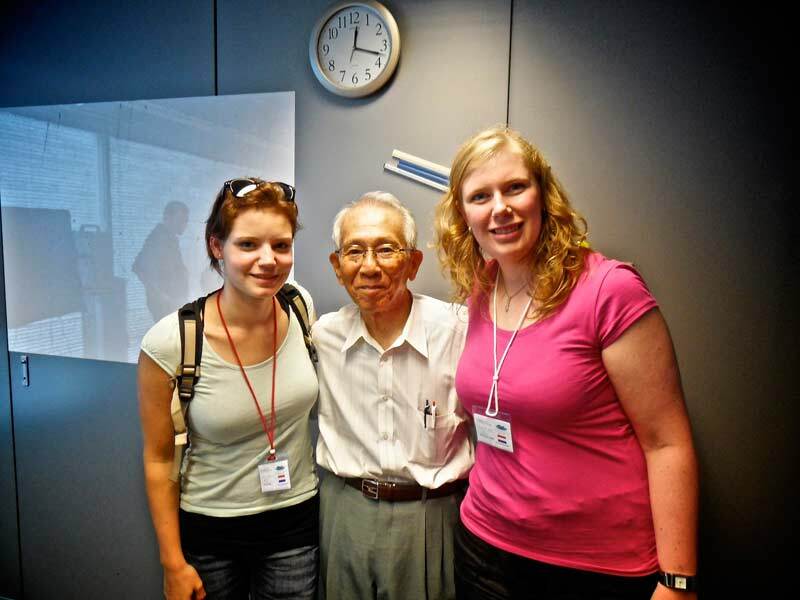 This time we had the opportunity to listen the story of a Nagasaki A-Bomb Survivor. As a 15 year old at the time of the bombing, his point of view of the event was surely very innocent but very realistic. With 81 years old today, he feels very lucky to have lived through this unfortunate event in 1945 and is now one of the many people committed to spreading the word of peace. 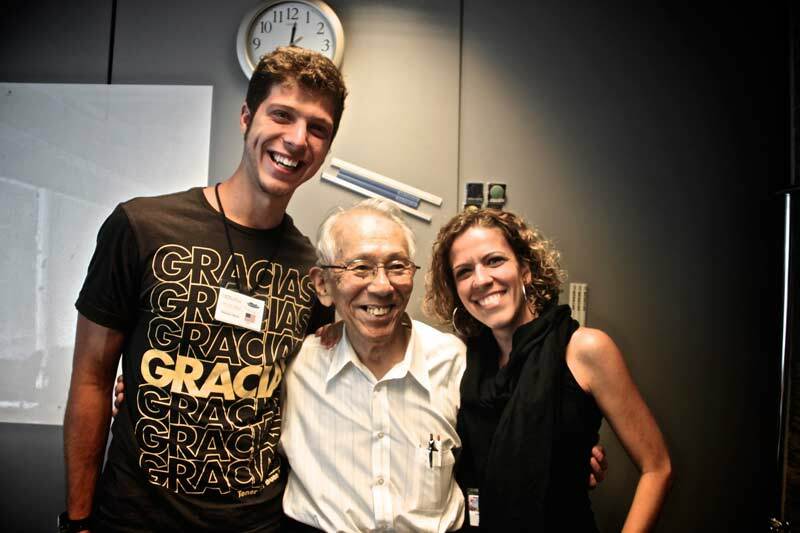 After he retired from his job as a teacher in 1998, he decided to start sharing his experience as a survivor from the A-Bomb and have been doing it for 13 years. With more than 70 speeches every year, he believes, this is his way of informing people about the facts of the bombing but most important, this is the way he is teaching everyone who meets him that hate is not the answer. 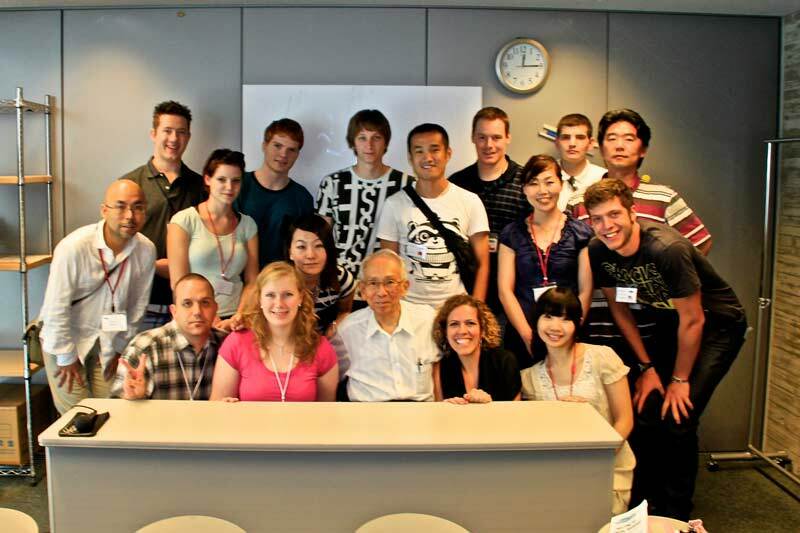 I was seating there, as I did last year, and again I was reminded of the importance of the work we do in World Campus Japan, learning about other cultures, knowing the whys of every person and every country, to be able to respect each other. After finishing his speech he gave us time for pictures with him and questions, he hugged all of us and said I love you to many of us. What a great feeling to have met someone that has gone through so much and has such a great outlook in life. I believe this is the beginning of a new moment for the world and for young people that take the risk to step out of their comfort zone, putting themselves in other people’s shoes to truly understand each other. It is everyone’s personal effort what will make this world a better place. It is not easy but we have to start now to have the peace we all want for ourselves and for our communities around the world.